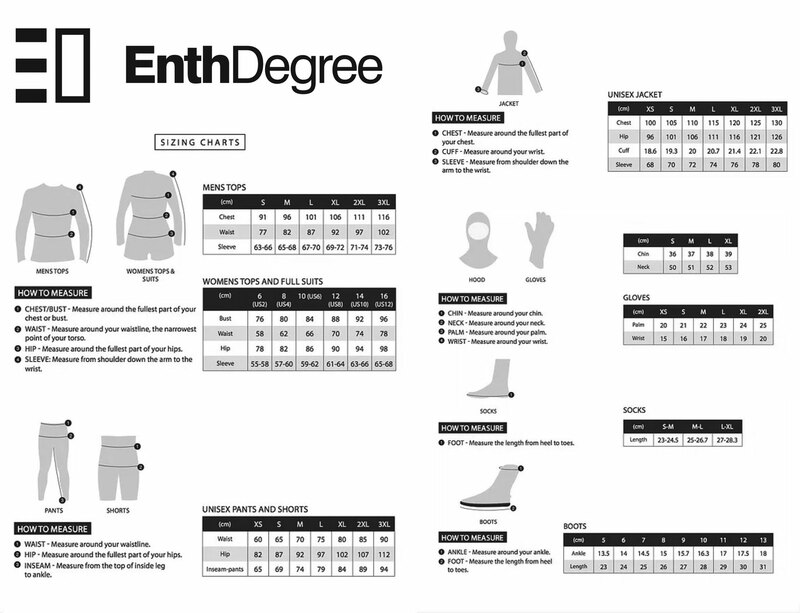 Enth Degree F3 Thermal Hood is a supple, quick-drying thermal hood designed to be worn on it's own or in conjunction with a wetsuit, thermal or thermal top. The F3 hood works well with a wetsuit because of the length of the hood, allowing it to sit comfortable over or under your neck seal. The Enth Degree F3 Thermal Hood is constructed out of the Fernotherm3's technical thermal material which is made up of a water repellent outer jersey and a 385gsm soft-touch thermal fleece throughout the inside - hit that link to learn more! Suitable for surfing, scuba diving, canoeing, kayaking, canyoning, adventure racing, wind surfing, kite boarding, obstacle course racing, canyoning, hiking, freediving, snorkelling. To get the most out of your Enth Degree Thermals we recommend maintaining it with Wetsuit Wash.